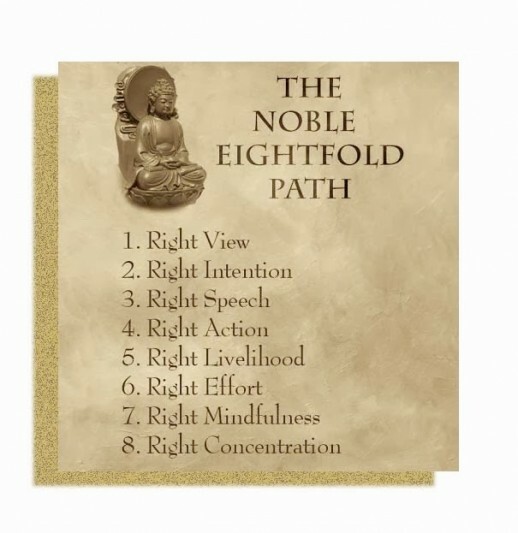 Buddhism’s Noble 8-fold path is a marvelously steadying guide for any of us to live by – but it also requires that we think about how as well as what we will understand; how we will interpret our own and others’ thoughts, choices, actions; and especially what bring us meaning and how we will live. “Right View” is where we begin: not once, but countless times. As we look more deeply and courageously, we will not lose our spontaneity. On the contrary, we will grow in self-trust – and in fearlessness. Much of what we see – perhaps all – is the result of our mental conditioning. Some of this is benign and liberating; some is not. We need to grow more curious as well as far more conscious about our perceptions, and more willing to stop clinging to perceptions that limit us or in any way damage our relations with others. 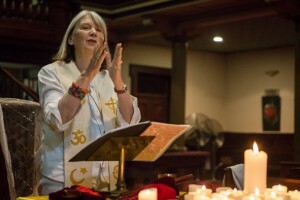 In this talk, recorded on 16 February 2016 at Pitt Street Uniting Church (our monthly Interfaith service), I share thoughts that I trust will be deeply useful to you, whatever your spiritual path has been or is. Like all wisdom teachings, those of the Buddha are for all who will listen. We can all benefit. The poem with which I start this talk is from John O’Donohue’s Benediction. I share it below. I am ceaselessly grateful for his “view”. Please share your thoughts via FaceBook. And please do use the buttons below to share this talk with others. These are teachings given to us to enhance our lives and help us to play our part in the healing of ourselves and the world. Blessings to all.